Professionally custom printed marquees to promote your business or product. We create custom printed sports marquees with full colour image backgrounds to liven up any sport event. Custom logos and colours printed to your exact specifications. These are some of the school marquees we have created. 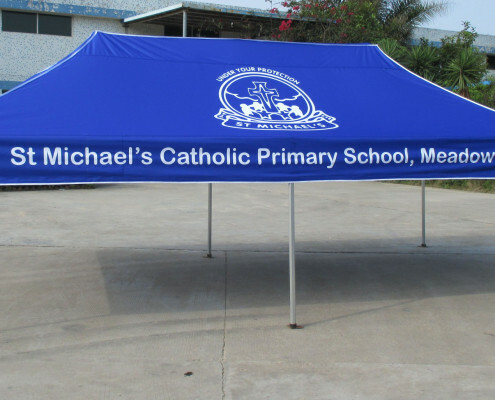 Great to provide shade or shelter from the rain for kids during a school event. Support and promote your community with a custom printed marquee.